On this blog i will often refer to Upper Guinea as one of the main regions within West Africa. It is a historical term commonly used in slave trade literature, alongside Lower Guinea. However definitions tend to vary, Senegambia sometimes considered as a separate region. 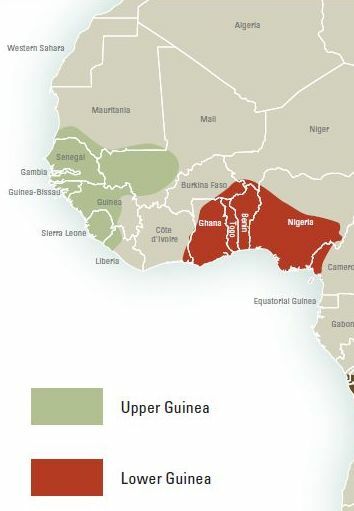 To avoid any confusion these maps should make clear what i mean when i mention Upper Guinea. 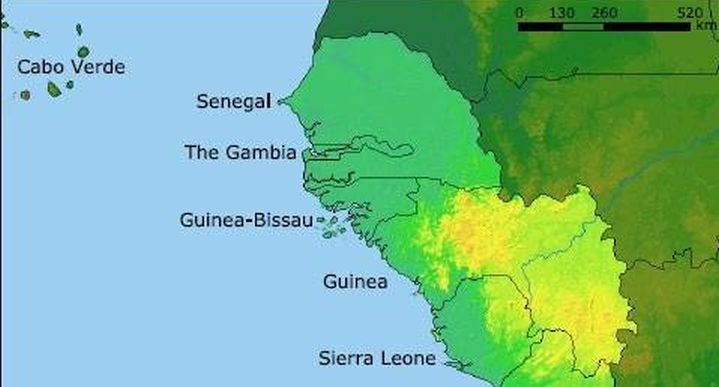 Whenever i’m referring to any of the subregions of Upper Guinea like Senegambia, Guinea Bissau/Conakry, western Mali or Sierra Leone i will explicitly say so. 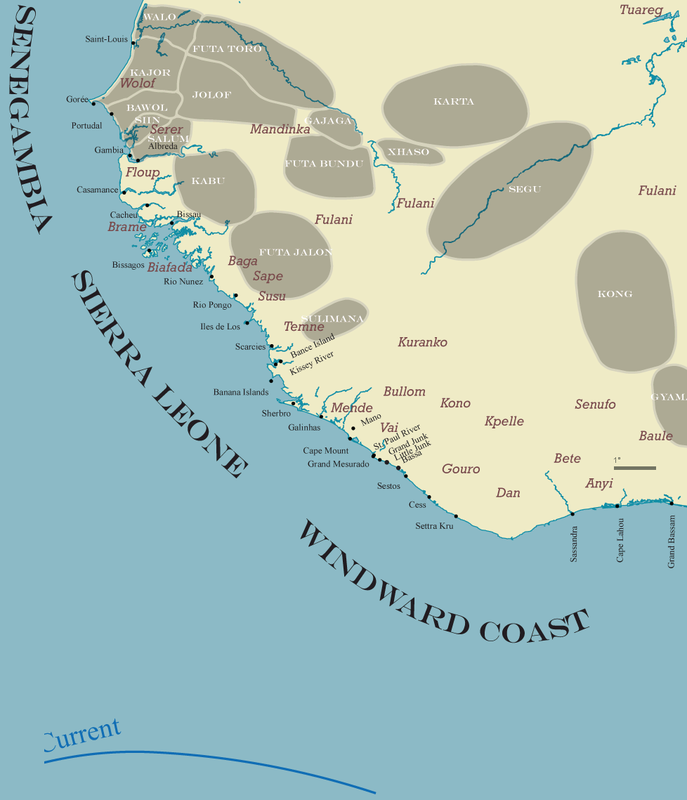 Even though Liberia is sometimes considered to be part of Upper Guinea i will generally speaking consider it part of the historical area of the Pepper Coast or Windward Coast (together with Côte d’Ivoire) and not Upper Guinea. Aside from historical & geographical reasons there are also ethnolinguistical reasons to justify this. 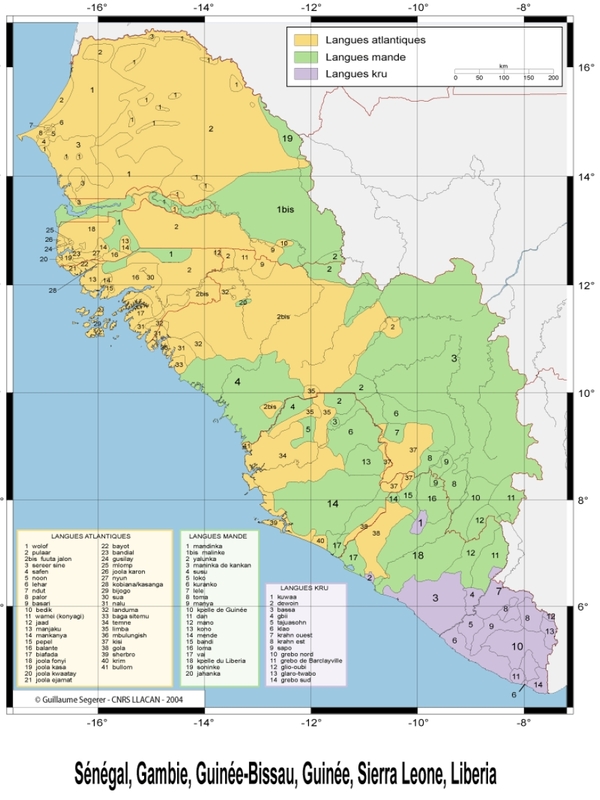 The Kru from Liberia being distinct from the Atlantic & Mande language groups (see the fifth ethnolinguistical map shown below). Source: “West Africa: Quest for God and Gold, 1454–1578” , (John W. Blake, 1977). This map specifies the origins of Upper Guinean slaves exported via Cape Verde to Latin America, circa 1580. In earlier decades the routes would also have included northern Senegal and possibly Mauritania. First map not very detailed but clearly showing the biggest currentday ethnic groups, the socalled “Mandingo” or “Mandinga” might principally have referred to Mande speakers but most likely not exclusively so. This map is much more detailed, also showing the marginalized Banhun/Bainouk areas as well as the Tenda speaking communities (Bassari & Bedik). Nowadays small in number but likely to have been hit disproportionally by slave raiders a few centuries ago. Many also likely to have been absorbed in Mande speaking communties, loosing their previous ethnolinguistical identity. This one showing contrast between Atlantic and Mande speaking groups, essential for understanding the dynamics of Upper Guinean history. This one showing the corridor of Mandinga speakers, starting in Gambia, via Casamance into Guiné Bissau. The Kaabu empire united most of these areas in former times. All of the main ethnicities mentioned in historical sources are being shown. However some got marginalized in a major way, especially Banhuns, Cassangas and Tenda. Also the Fula (“Peulhs”) dominance is pretty much recent following their conquest of the Kaabu state in 1867. The Fula had been present in Guiné Bissau already in the 15th century though. Again all ethnicities being mentioned in historical literature are being shown but some of them with much reduced territory. Especially the coastal Baga. The Susu were driven to the coast because of the expansion of the Fula (shown as Peulh in the second map) in the 18th century. They would have been more interior in the 1500’s/1600’s. Also the Djallonke got displaced in the process. The Mende presence is a result of the Mané (=Mande speaking) invasions of the 16th century. Otherwise the Temne, Limba and Sherbro pretty much correspond with the lump category of Sape peoples used in the 1500’s/1600’s. From these peoples it’s the Temne who had the most extensive trading relations with Cape Verdeans & Luso Africans. I’m a fan of your blog. 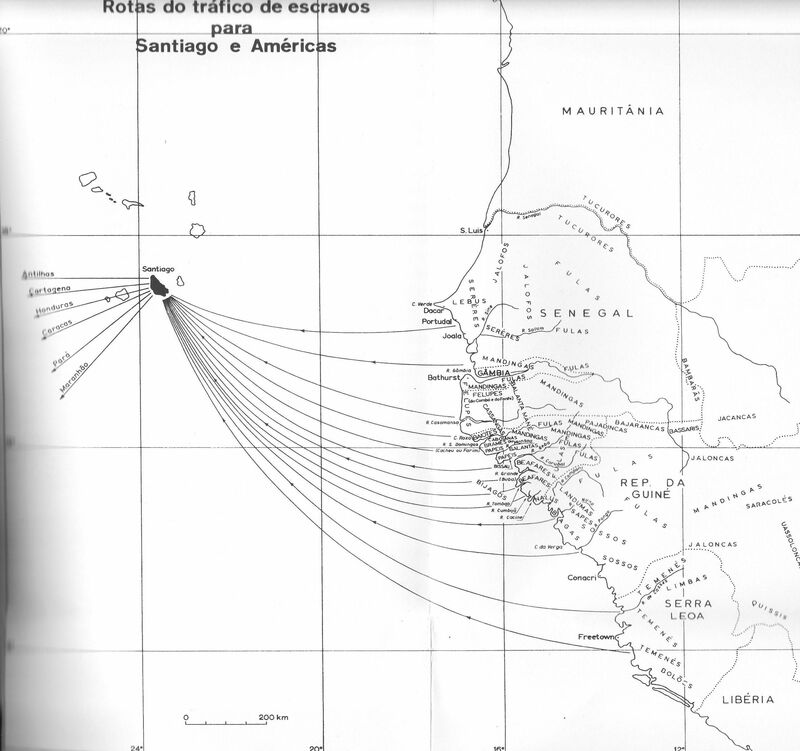 I’m currently writing a paper on the usurpation period of Portuguese invasion into the Upper Guinea coast, and your map entitled Guinea of Cape Verde and the Malagueta Coast has the exact locations of peoples that I need. I was wondering where you found the map itself, as I would like to source it to its academic book or journal if you happened to be aware of what it was. Best of luck in your research!